At Keen to Design whenever we are planning on designing a website for our clients, we always go through a complete process, and try our best to keep all the modern web design techniques in mind. From our experience, to create a perfect web design, you must follow the primary methods of designing your website. You need to focus on the goals and scope of your project so you can create a fantastic website. There are different phases of modern web design process that you need to go through. You will have to create a sitemap and a wireframe to continue building a great web design. There is a great importance of creating sitemap and wireframe for your new web design project. When you break the complete web design process in different parts, then it will become easier to complete your project on time, and you will be able to come up with a bright idea of the nature of the project. There are multiple factors that you need to focus on when designing websites with modern web design process. Let’s have a better look at the complete process and how you can improve your web design. You will have to start by creating a sitemap. A sitemap is just a way to describe the site’s hierarchy. When you are creating a sitemap, you will be able to know the hierarchy of the pages that you are going to design. Whenever you are planning a project, you will have to identify few necessary things. If you are about to create a multi-page website, then you should start with the site’s hierarchy so you can then understand the location of the pages and how you are going to design them. For building an e-commerce site, you will have to set your goals. The fundamental purpose of the website is to sell the products. However, you will have to create a sitemap when you are designing your site so you can know the location of the pages and how it will help customers to find the right section. When you are creating a sitemap, then there are few essential things that you will have to keep in mind. There are many ways to create a sitemap of your website. The fundamental purpose of creating sitemaps is to have a hierarchy so you can start your design process. You can create sitemaps in the list format. The list will use nesting to give you an idea of the hierarchy of the pages you are going to develop. You can start with the index page, and then you can create multiple pages in a specific hierarchy to make things easier for yourself. You can also diagram for creating sitemaps of the website you are designing. You can use horizontal and vertical diagrams that will help you indicate the paths of pages to your client. If you have to show some specific working on the design process, then you should consider creating a sitemap in a diagram that will help you make your client understand the complete design process. There are different sitemap tools that you can use, and it will help you in the best way possible. You can use Moqups, Axure, and Writemaps. After creating a sitemap of your website design, you will have to move to the wireframe. A wireframe is also necessary for you to create hierarchy and blueprint of your site. However, this time, the blueprints will be on the broader level. Wireframes will help you create a blueprint for a single page. However, the hierarchy will not be of the whole website. When you are creating a wireframe, the hierarchy will only be limited to a single page. It will be everything about a single page so you can identify the elements in a single page. Wireframes are basically a complete and final design including the font sizes, sections, sample photos. However, it is not the case every time. Some of the wireframes are schematic, and it requires much work to be done before getting things finalised. 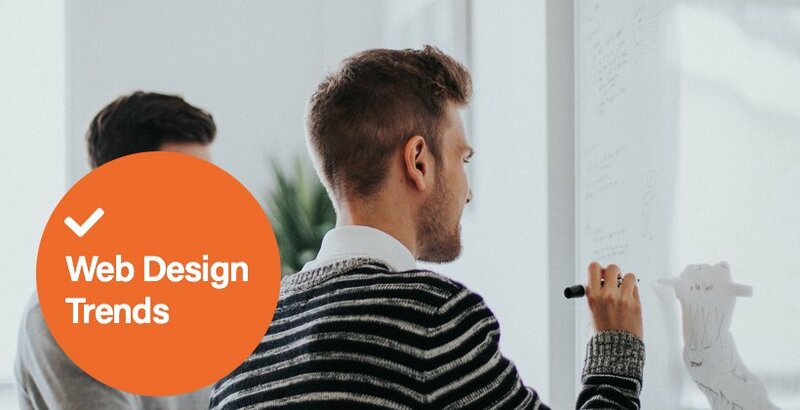 Wireframes will help you show the design to the interested parties including your client so you can get their ideas on the work and if there is something that your client wants to add to the design, then it will be the best time for you to make changes and finalise things. There is much importance of creating wireframes in the modern web design process. It helps you go through every single detail on every single page of your website. It will help you set the standards for the other pages so you can quickly create the design of all the web pages you have in your site. After creating wireframes, you will have to review the wireframe from a content perspective. Make sure that you are revising the headline type for the content, and every article should have a highlighted image as well. Check the size of the slider headlines, and it has to be short. After making all these necessary adjustments, and all these changes will help you shape your design. Once you have finalised the wireframes of all the inner pages, then you will only require adding finishing touches to the pages. However, one of the most crucial things that you need to focus on is the SEO. When you are creating wireframes of your website, you will have to focus on the headlines, Meta tags, and navigations elements so you can keep the design SEO in a friendly way. If your design wireframes are SEO friendly, then it will help you in finalising the design. Over the time the modern web design process has changed what the designers used to do before. It now focuses on every single detail of the website and its pages. Wireframes help designers to create every single page according to the needs of their client, and it helps them improve their design features. It enables you to take care of the site goals and fundamental purpose of the website design.